Shaunt Avakian is a musical force to be reckoned with. When I first met him, he was only seventeen, just getting his feet wet in L.A.’s saturated rock scene. 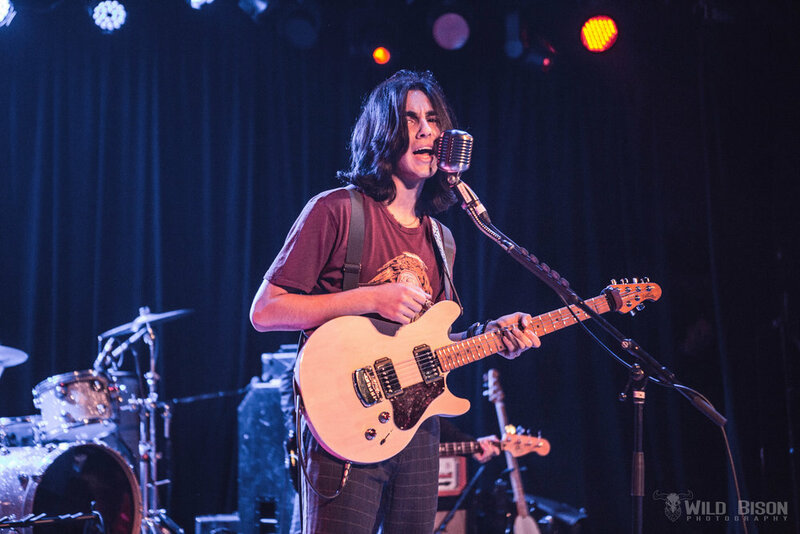 Throughout the past year or so, Avakian has proven not only committed to growth as a singer, songwriter, and stellar guitarist, but also to his vision of bringing his creative passion and emotion to the ears of listeners. The burgeoning artist, who is wise beyond his years, perfectly meshes the old with the new due to his training and knowledge of classic blues, jazz, and rock and his cultural know-how of a true millennial (see: his medley of The Raconteur’s “Steady As She Goes” with Britney Spears’ “Toxic”). Engaging crowds of both young and old, he has already performed at a number of impressive venues in the Southern California area, including The Troubadour, The Roxy, and even a music festival at UCLA. Earlier this year, he released his debut EP, Intensity, featuring six tracks which showcase Avakian’s versatility as an artist and his ability to appeal to a variety of genres and styles while remaining true to his voice. The record kicks off with “Are You Here?,” one of his earlier-developed songs which has become a fan favorite during live sets. It leads in to guitar-heavy “One In A Million,” emphasizing Avakian’s talented guitar playing and voice while questioning ideas of uniqueness and conformity. The EP also features “The Runaway,” a low-fi, beachy number inspired by visions of carefree youth, as well as “Love To Love You,” the designated ballad of the record with crooning vocals and a John Mayer-esque chord progression. My personal favorites on the EP are “Hard To Focus” and “Rats In The Attic,” arguably the most intense of songs on Intensity. The former starts off with a killer guitar intro, then leads into a wonderful punk number with a frighteningly catchy chorus. The latter kicks off with a fun drum groove and features Avakian’s boldest vocals and lyrics (which work really well!). “Rats In The Attic,” which ties together the concept of the EP as Avakian sings, “how else can I justify this intensity?,” can easily serve as a new anthem for misfits. Although Avakian is clearly talented in so many ways, punk seems to be his strongest suit, best capturing his incredible zest for passion and creation through electrifying guitar riffs and strong vocals with equally strong lyrics. Read on for our interview with the artist, and be sure to check out Intensity! When did you know you wanted to pursue music, and what led you to that realization? Although I always considered music to be a viable career path, and I was always involved in music throughout my young life, it wasn’t until the summer of 2016 that I had the realization that music was what I really wanted to do. I had these phases where I focused on different interests, but I always came back to music as a way to release my emotions. It became an escape from mundane activities that slowly devolved into chores. I started jamming with a young guy at my school, and next thing you know, I got us a slot to play at The Troubadour on a Wednesday night. I’m gonna be really honest about it -- at first, I sucked. I thought the experience I had playing in school band programs would carry me through a six-song set (which were almost all covers, by the way). Regardless, the rush of being on stage and entertaining people for that first time was just irreplaceable! It made me want to work harder on something I really loved, and I’ve been playing a gigantic game of catch-up ever since! Your EP showcases your versatility as an artist — songs like “Hard To Focus” and “Rats In The Attic” display a clear affinity for punk, whereas “The Runaway” shows more of an alternative sensibility and “Love to Love You” gives off a bluesy vibe. Who would you say are your greatest musical inspirations in your development as an artist? I’ve always enjoyed a variety of different music. My parents’ taste influenced me alot, there was always music around in the car, or CDs and records playing in the house. I can relate to most early childhood memories through music, I can recall an incident by what music was being played. It’s sometimes a double-edged sword for me, because I really love listening to and playing lots of different genres, and that creates a lot of inspiration for me musically which is difficult to box into one category or genre. I’m like that too, in the sense that memories and music are always intertwined. Your music very clearly reflects some of the “great” eras of rock and punk, but presents it in a way that is fresh and contemporary for today’s audience. Do you view these genres, particularly punk, as a thing of the past, or do you feel there is still a definitive space for these genres in the future? Rock musicians today need to realize that the reach of the genre is ultimately far narrower than it was in the 80s, 90s, or even the early 2000s. However, that doesn’t mean there isn’t any interest in the music, it’s just that its modern practice has become more esoteric. I think there are a lot of young people interested in rock and punk’s golden ages and use that love of music that is usually passed on to them by their parents to discover or form new, young acts that need the help of new, young fans! I’m excited for what the future holds in terms of the rock and punk genres as we continue combine the elements of the new with the influence of the old. Thus far, what is your proudest moment as an artist? What has been your greatest accomplishment thus far? I’d have to say the most satisfying thing has been seeing my name attached to my songs on Spotify when my debut EP, Intensity, was first released earlier this year. I felt like a parent because I’ve nurtured these little doodles and ideas for so long and to put them out was naturally a bit unnerving at first. I was anxious about how people would react to the songs because no parent likes hearing that their kids “aren’t good enough,” and for so long, these ideas and songs were like my babies. But after all was said and done and the songs were released, I couldn’t help but break into a smile seeing my hard work and efforts reflected on my laptop screen. For a younger artist in L.A., you’ve already performed at some of the city’s most renowned rock clubs and venues. 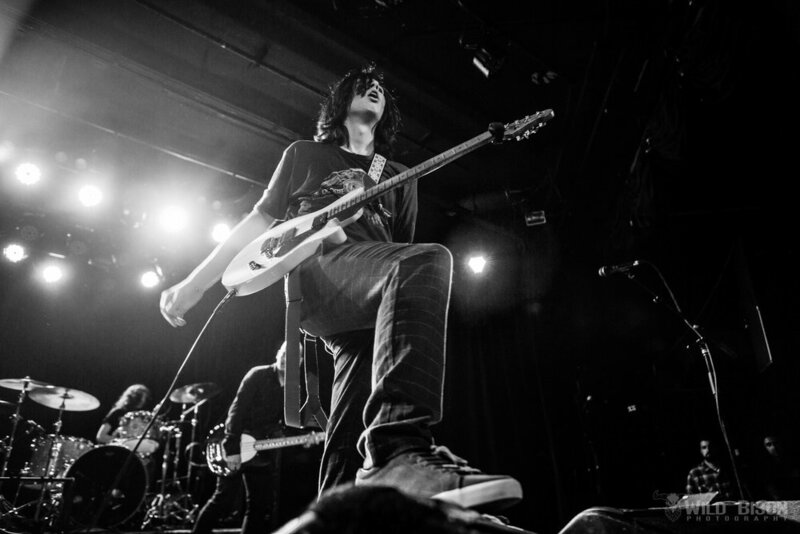 What are your favorite aspects of performing at these places, like The Roxy or The Troubadour? It’s great to perform any opportunity I get, especially when there is so much history in the room you’re playing in. Obviously, pay-to-play gigs are tough on a performer, but when you’re starting out, you need that extra energy and mojo that oozes from the walls, the stage, and the floors of these historic rock clubs. They give you that extra kick of adrenaline and make you go for it! The crowd can be a little tough, but that’s what you get in LA -- there are so many artists so the expectations are definitely higher. Top three cities you’d like to perform in in the future? I definitely want to get some festival gigs sooner than later, but I realize it’s one step at a time. Other than that, I’d be in for some shows in Latin America, or Mexico City, which has such a blossoming rock scene! London would also obviously be killer! And lastly, Yerevan would be the icing on the cake. I’ve never been to Armenia and what a way it would be to go home! Take it home, Shaunt! What are you most excited about in the near future? What should we keep an eye out for? I’m working on some music videos. I’ve always enjoyed watching the process of putting music to film, but I’ve never worked on it before so this should be a challenge and one that I’m looking forward to! Thanks so much to Shaunt Avakian for the interview! We hope to see him live very soon, and in the meantime, be sure to check out his music and follow his Instagram, Facebook, and YouTube channels. You can also visit his website for any upcoming information.